BizTalk — Bringing You the Resources to Succeed! Join us on Saturdays at 9:00 am on 1150 WHBY. 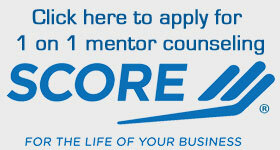 March 21, 2012 by BizTalk · Comments Off on What is Score? Karen and Tim Kelley, and their five children – Amie, Betsy, Heidi, Molly and Clark – operate this 200-acre farmstead dairy and tend the 65 Holsteins that provide the GradeA milk for their Creamery. The farm is located on Kelly Road, a country road near Fond du Lac that has been the location for 39 Kelley families who have lived in this Irish community during the past 150 years. The Kelleys are committed to sustainable agriculture, recognized for their farming practices, and keep their cows on green pastures, weather permitting which is important for milk quality and taste. Kelley Country Creamery is a special place, with a viewing window in the ice cream parlor so visitors can watch the ice cream being made, while enjoying their favorite flavors at the same time. And the Creamery’s old-fashioned sun porch is a perfect spot to experience Wisconsin’s countryside while viewing a working dairy from the hillside that over looks the Kelley’s farm. Provide coaching, mentoring, and continuous improvement support to NE Wisconsin non-profits so that we achieve our community impact objectives.